Healthy side-dish with delicious flavour. We had these with a barbecue and they tasted great. Serve with some sour cream and chives if you have it – or mayo! Heat the oven to 200C/180C fan/gas 6. 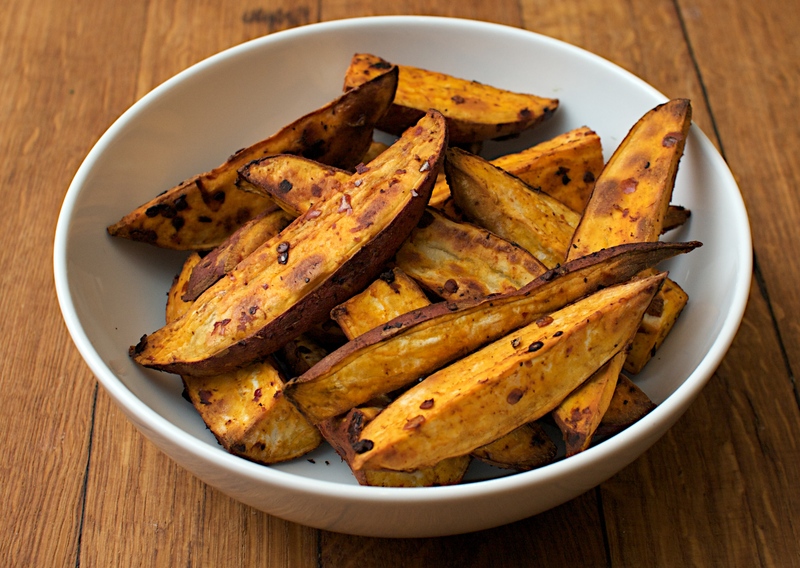 Toss the wedges with the harissa in a bowl and then transfer to a baking tray and cook for 40-45 minutes. They are great with smoked paprika and a bit of olive oil too. A very underrated tuber in these parts. I am an orange man myself. Strange for a Dubliner!